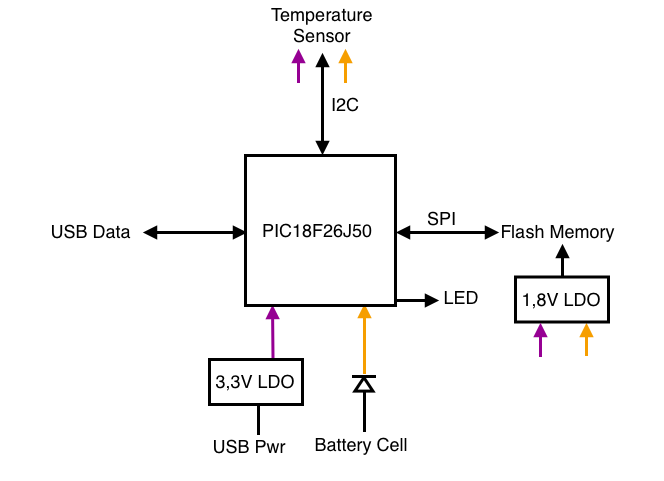 This entry was posted in Electronic Design, Temperature Logger and tagged AT25DF081, cheap temperature logger, coin cell design, pcb, PIC18F26J50, temperature logger, TMP102, usb temperature logger by Jean. Bookmark the permalink. Love it.. I’ve been working on one using an Atemga8U2. I haven’t been planning on internal storage or battery backup though. Isn’t crazy that something so simple is so expensive to buy? Pretty cool! I’ll be following this. You might want to check out a project I did recently that’s a temperature and altitude logger: http://code.google.com/p/backwoods-logger/ It’s more complex (and expensive) than what you’re aiming for though. It’s amazing what can be done with nowadays small microcontrollers. And how much program can be stuffed inside. I forgot to put “no drivers or program needed” in my specs. I’ll calculate the costs in the next article. If you only take the components in account, yes, it’s very cheap. Unfortunately, you have to add R&D, fabrication, shipping, packaging, distribution, FCC.. So at the end, it costs way more than just the components price. Still, I was surprised to not be able to find something cheap and simple. But maybe I’ll realise it’s not as simple as I thought once I’ll start the firmware and the electrical tests. FYI, a friend who manufactured electronic products once told me that to make a nominal profit, you must retail at 6 times the manufacturing cost. A question occurs: Have you been able to estimate at what point in the battery’s life it can still supply the 12ma memory write current? I am currently designing a temperature logger and I’m going with 2xAA batts for power to insure good write current from possible old,cold batts. The electronics will have an AA form factor, making the cylindrical shaped logger my app requires. Yes, the 12mA write current could be a problem. The datasheet says it takes 15us to write a single byte. Each measurement would be ≈20 bytes, which makes 300us. So far, I have no idea of the battery voltage drop. 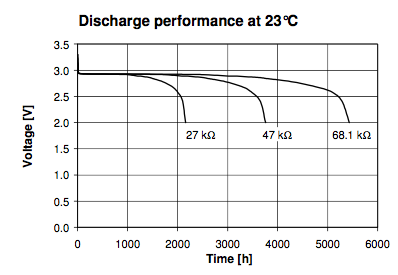 The 1,8V regulator performances have to be taken into account, plus the fact that it’s 12mA@1,8V. Adding a big capacitor could help. 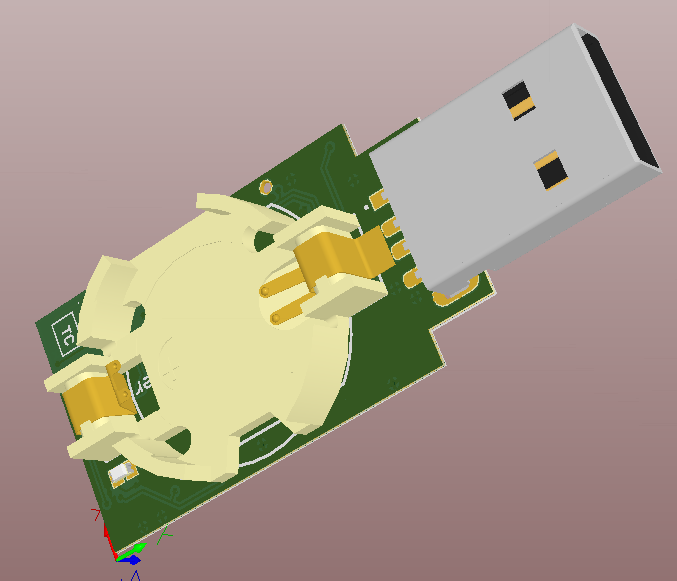 I guess the ultimate way to know, will be to measure it once I receive and populate the PCB. So far, the only battery-powered product I designed was using 9V accu, with 3,3V electronics, so I had a way better power margin. 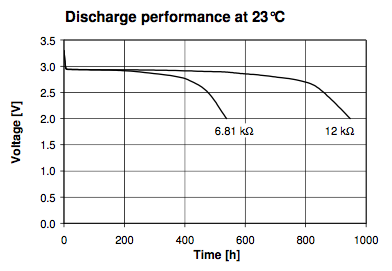 As for the temperature and battery, the datasheet shows quite a good response, good enough for this application. Once again, there’s sometimes a whole world between datasheets and reality, so I’ll have to run tests and measure things. So yes, the price of a product isn’t just the price of the components (you can see that for example with the iSupply calculations for Apple stuff, even with their 30% -or bigger- margin). My Backwoods Logger Classic is still running on its original CR2032 coin cell battery, after 6 months. I don’t use any voltage regulator, so the battery voltage is connected directly to the microcontroller and temperature/pressure sensor. When it’s sleeping between measurements, the current draw is about 10 microamps. I don’t know much about PICs, but I assume they would be capable of a similarly low sleep current. The Backwoods Logger Mini uses a higher-current drain OLED display, and goes about four months on a single AAA battery, using a DC step-up converter. My guess is that 2xAA would be overkill for a temperature logger that doesn’t have any LCD or other display. For pricing, I use Adafruit’s rule of thumb, which is a 1.6x markup from parts cost to the wholesale price (the price if sell a bunch of them to a store), and another 1.6x markup from wholesale to retail, so about 2.5x overall. That’s for open source hardware type products in the $5 to $100 range or so. You don’t say what your absolute price point is but I am assuming you ruled out the iButton thermocrons on that basis? At about $15 they’re a damned sight more than your TI temp sensor but you’d get a wider sensing range and wouldn’t need to worry about storage and power anymore. Yes, I checked the iButtons before writing about my temperature logger project. They are a very good solution and as you said, they have a better temperature range. But you have to buy the reader to extract data from them, which adds to the costs (especially if you only need one iButton). And the $15 is the price for 1000 units. I saw prices closer to $100 for a starter kit, or $50 for an iButton with the reader. Plus, the cheapest iButtons have “only” 2048 temperature point. (Although I don’t know yet exactly how many points my battery will last, even if I have a 8Mb memory). As you said, having something simple (in my case, a USB stick) letting you get a CSV file with all the recordings would be cool. CC2511Fx by Texas Instrument has a built-in temperature sensor and radio and USB interface and designed to sleep and consume the least amount of power great for logging and I temperature I think. with Enable Function” as a voltage regulator for flash? they have very low turn off current. even lower than powered down flash.